It's autumn and Sally Squirrel is collecting nuts for the winter. 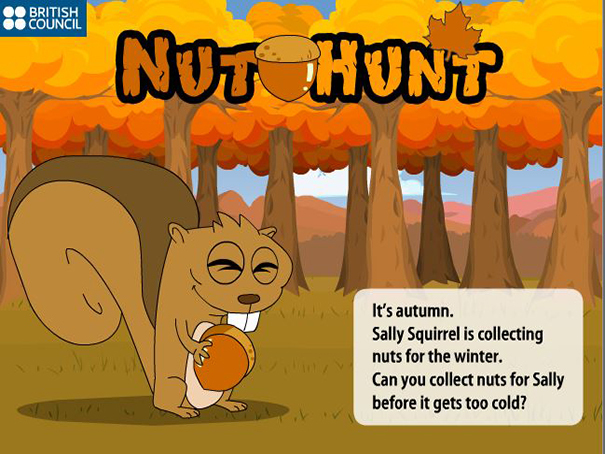 Can you help her collect nuts before it gets too cold? This is a vocabulary game to test your knowlegde of words relating to autumn and the forest.